As time progresses, more and more evidence seems to surface supporting a plant based diet. Plant based diets are naturally lower in cholesterol and “bad” omega 6 fatty acids, which are linked to health problems like heart disease stroke, and death. 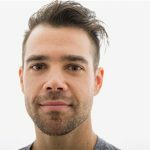 With these diseases becoming prevalent especially in western society, more people are turning to a plant based diet to improve their health and to live a longer life. While a plant based diet is generally considered to be healthier than a meat based diet, it certainly seems to lack in one area: and that’s getting a decent amount of protein. Many plant based foods don’t have a full amino acid profile either like their meat based counterparts, making the search for adequate protein even more difficult. What Are the Best Sources of Protein from Plants? You might not be familiar with this term, but you definitely have heard of soybeans before. This is a dish routinely seen in various Asian cuisines and is loaded with protein, averaging about 18g per cup when cooked. 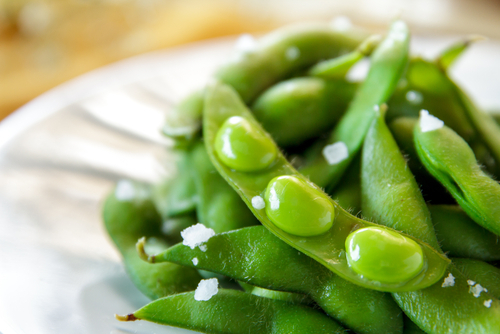 Not all edamame is created equal however, as it is generally advised to avoid ones which are treated heavily with pesticides. It is also worth noting that these soybeans are not fermented, and thus may be more difficult to digest than other forms of soy. 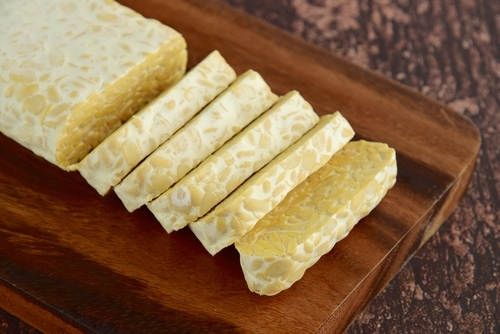 Another form of soy, tempeh is just fermented soybeans which are pressed to form dense patties and cakes. This form of tofu can be sliced and cut in different ways making it a very versatile dish that is easier on the stomach than other non-fermented forms of soy. Tempeh typically contains about 16g per 3 ounce serving, and is packed with a lot of flavor as well to go along with all of that protein. Like other soy products, tempeh also contains all the essential amino acids we need as well. Spirulina is a relatively new food product to hit the shelves, and is plant based being derived from algae. Spirulina isn’t a complete protein like soy, however it contains a lot of protein. In just one tablespoon, spirulina contains 4 grams of protein at only a cost of 20 calories, making it a great supplement to add to your smoothies or protein shakes. Spirulina is also full of antioxidants and powerful compounds which are excellent immune system boosters, providing you with additional benefits as well. Lentils are another food item everyone should add to their diet, whether they exclusively eat plants or are omnivorous. 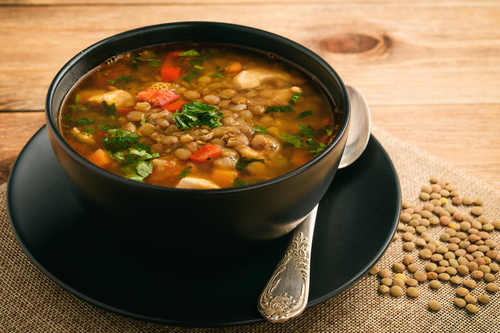 Lentils are loaded with protein as well, providing 18 grams in just one cup at a cost of about 230 calories. Lentils are another plant based food that has a full amino acid profile, however they are lacking when it comes to cysteine and methionine. Adding nuts to your diet on days you eat lentils can help you make up that difference. Quinoa is another one on this list that is has a full amino acid profile, and is something that you should be including in to your diet. This is because quinoa is versatile as well, and is a great substitute for other grains we eat such as rice, oats, and barley. Quinoa provides 8 grams of protein per cup, is full of fiber, and is a great source of b vitamins as well. Next time you are looking for something different for breakfast instead of oats or cereal, give quinoa a try. Peas are one of those foods we all remember from our childhood, and probably was the main vegetable we would tolerate eating back in those days. Peas have a lot of protein in 9 grams per cup at a cost of just over 100 calories. The low amount of calories per serving, along with the high amount of protein and fiber makes peas an excellent choice when it comes to weight loss as well. Protein powders derived from peas are becoming increasingly popular especially for vegans, and for good reason.